There’s something special about the Russian River Valley. Depending on the day, you could experience the fog in the morning coming off the Sonoma Coast, take in a view of the Russian River, or enjoy the comfort of the nearby Redwood Trees. But, it’s a little known fact that the Russian River Valley excels in making excellent Pinot Noirs. And, if you’re looking for a great example of this, look no further than Joseph Jewell Wines in Downtown Forestville. They also offer some pretty incredibly wine experiences such as a picnic in the vineyard they source their grapes from where the winemaker will pour the wine for you right out in the field, or a full helicopter ride experience over the Russian River Valley Vineyards! TALK about an experience worth remembering! More info on those experiences can be found at their website. 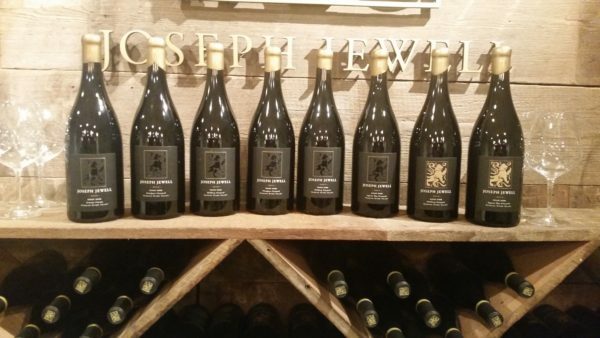 Joseph Jewell Wines have been around since 2006, when friends, Micah Joseph Wirth and Adrian Jewell Manspeaker came together to form a business in winemaking. 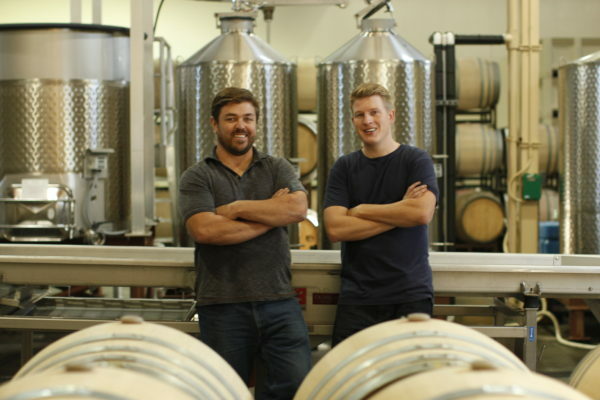 Micah, had grown up around wine his entire life, his dad being a winemaker himself, Chris Wirth, and, at the time, was mentoring under Gary Farrell Winery. That year, Gary asked Micah if he wanted to make some wines since he had an extra ton of grapes. 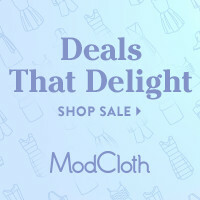 That’s when Micah turned to his friend, Adrian Jewell Manspeaker, and asked, do you want to make some wine together? Adrian’s response, at first, was, “Can we do that?” And so, they began, making wine, right out of their garage, and 10 years later, they’re still making wine, getting a better sense of their winemaking style, establishing a fan-base, and getting the word out about their extraordinary wines! And they’ve moved well past making wine out of their garage! 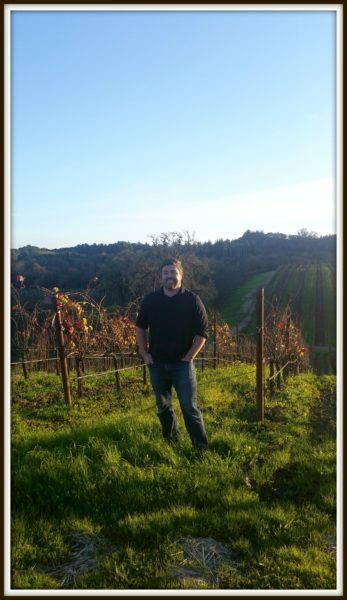 Adrian Jewell Manspeaker, came from Humboldt County, and, you will see a huge tribute to where he grew up the more we explore their wines. And, from there, learned about the micro-climates of Northern California. It was when he moved to Sonoma County when his love of wine truly began, and of course, opened up his true passion. He began to study wine at UC Davis Extension Program, and also, where he ended up crossing paths with Micah. I spent an afternoon out with co-owner Adrian Jewell Manspeaker to learn more about their wines, and to experience one of their vineyards they source from out of the Russian River Valley: Starscape Vineyards (formerly known as Floodgate Vineyards). This vineyard, also houses some of the oldest Pinot Noir Vineyards in the region. Upon arriving to Starscape Vineyards, Adrian led us around the vineyard, explained where their lot of vines were located (in the picture above if you look down upon the far hillside, that is the lot where their Pinot Noir comes from out of this Vineyard!) Also, one of the more popular lots out of this vineyard! Adrian and Micah source all of their wine grapes from various vineyards around the Russian River Valley and up in Humboldt County. Adrian also pointed out the flat land, where vines are located, and how they easily get flooded during the winter months from rain, etc. 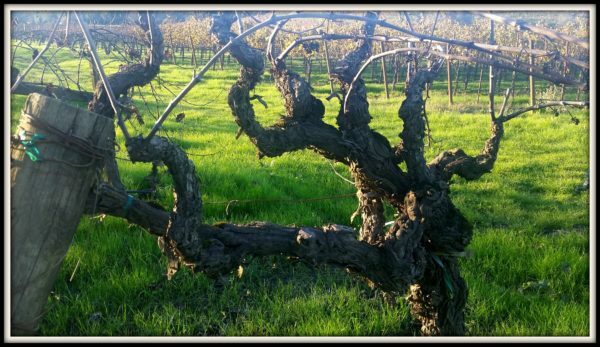 BUT, during that time of the year, the vines are dormant, so the flooding causes very little damage to the vines. He then walked us further down the vineyard and pointed out to us some of the oldest living Pinot Noir vines out of the Russian River Valley, planted around the 1960’s. And, if you’ve seen vineyards today, you know that distance has definitely decreased over time! We slowly headed back up to our cars, took one last peak at the vineyards before driving a few miles down the road to Joseph Jewell Wines Tasting Room in Downtown Forestville! Downtown Forestville is a cute little Main Street in Sonoma County, that if you blink, could honestly miss it in a blink of an eye, however, new tasting rooms are being added every year, and there’s some great new restaurants coming into the area making it worth a stop on your Wine Tasting Adventures in Sonoma County! It’s also where the Tasting Room of Joseph Jewell Wines is located: A byway between Downtown Sebastopol and the Russian River Valley. Adrian’s wife helped design the inside of the tasting room, and I must say, she has an excellent eye in making the tasting room a fun, relaxing place to have fun, and to enjoy some great wine. Art aligns the walls of the tasting room from a local artist in the area. One thing I truly loved about tasting through the Joseph Jewell Wines, was that they both had their Single Varietal Vineyard Wines coming from the vineyards they sourced their grapes from (Appian Way, Starscape, and Hallberg Vineyards) and they also had Pinot Noir blends available coming from all the vineyards. And since I’m a huge fan of wine blends, this was a huge win for me! 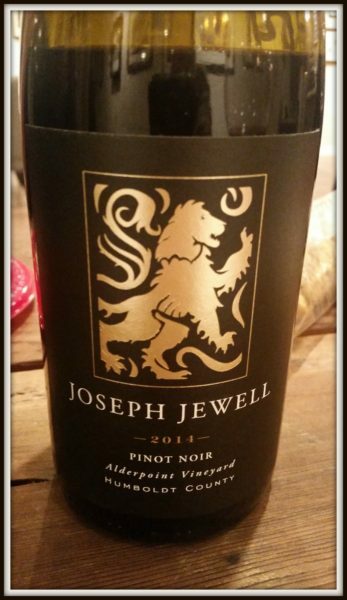 But Joseph Jewell doesn’t just make Pinot Noir, they do happen to make some Chardonnay and Zinfandel, as well. By now, if you haven’t figured it out: Joseph Jewell is the combination of both Adrian and Micah’s middle names! I found out that night, just how hard, it was to come up with a business name for wine, but, I have to say, the combining of the two middle names was brilliant! 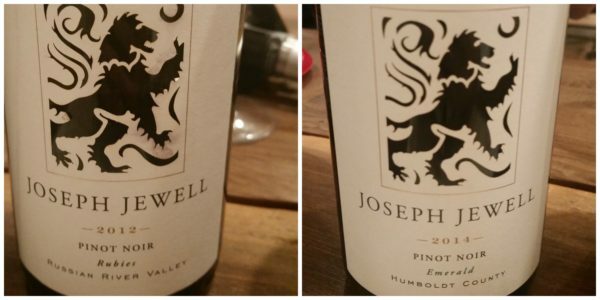 Another unique thing about Joseph Jewell Wines is that they source grapes out of Humboldt County, and make the wine (Pinot Noir) from those grapes. This is a huge tribute to where Adrian grew up. They started to do this in 2008, where they found their first vineyard in Humboldt County to source grapes from. That vineyard was Elk Prairie, and they still source from that vineyard today. The wine I tried out of Humboldt County came from their Alderpoint Vineyard, and was their 2014 vintage. I just loved the fact that I could try both Humboldt County Pinot Noir and Russian River Valley Pinot Noir right next to each other, and truly taste the difference. It was a GREAT experience, and one I think many of you would enjoy, as well. This wine, in particular, was chosen as one of the Top 100 Wines of 2012! And let me tell you, this blend and bottle definitely left a lasting impression on me. It was one of the favorites of the evening, for me! BUT: as I said earlier, they also had wines coming straight from their Russian River Vineyards of: Appian Way, Starscape Vineyards, and Hallberg Vineyards for you to try when visiting. Each one brought a different characteristic to Pinot Noir, and you could taste the difference in what a vineyard can bring to the table. 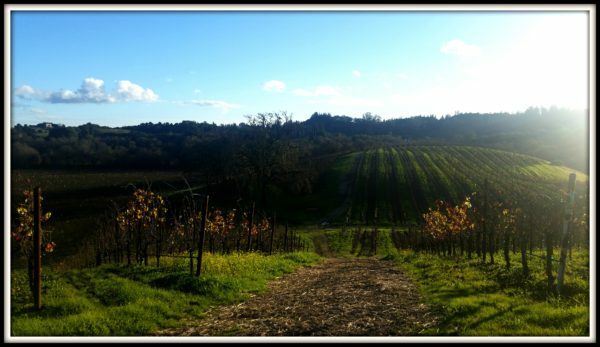 The Appian Way was the first Joseph Jewell Vineyard they sourced from out of the Russian River Valley! 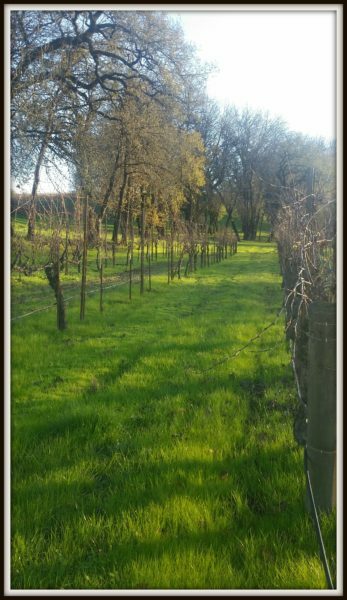 The Starscape Vineyard is their favorite vineyard to work in, and the Hallberg Vineyard is completely Dry Farmed, meaning no irrigation at all, and was definitely a favorite amongst the three single vineyard wines. Lets talk about their Rubies and Emerald Wines! These wines are only available to their wine club, which has the perfect name: The Jewell Club. The Rubies are made from the best 3 Wine Barrels out of every vintage every year. The Rubies come out of the Russian River Valley Barrels, and the Emeralds come out of the best 3 Humboldt County Barrels. These wines are definitely some of the most coveted wines by their wine club every year! This March they will be releasing a Rose of Pinot Noir, just in time for summer! And for those Zinfandel lovers out there: don’t miss out on their Gris Vineyard Zinfandel. The vineyard was planted in 1974 where they source their grapes from. And their 2012 vintage received the Top 100 Wines award from Wine Enthusiast. They use 100% French Oak on the Zinfandel. A huge thank you to Adrian Jewell Manspeaker for taking the time to talk with me about Joseph Jewell Wines, and show me one of the vineyards they source their grapes from (Starscape Vineyard). Exactly the vineyard Adrian is standing on in the above photograph. 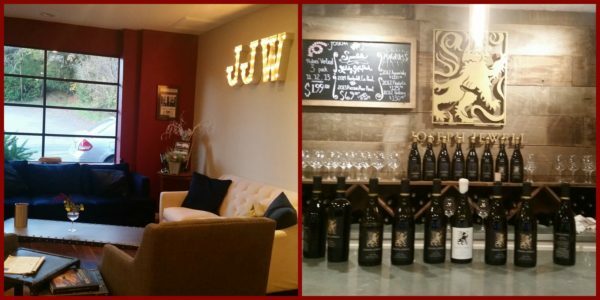 Be sure to stop into their Joseph Jewell Wine Tasting Room in Downtown Forestville and keep an eye out for their event, “Fridays in Forestville” where the Downtown Wineries in Forestville team up with a local Restaurant for a fun night of wine and food on periodical Friday evenings! More events will pop up down the road. 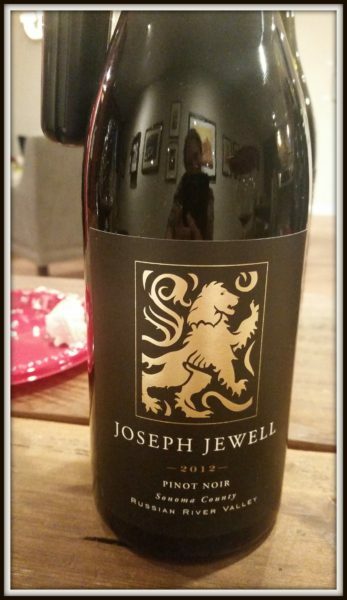 For more information about Joseph Jewell Wines, and where to purchase their wine, please visit their website. 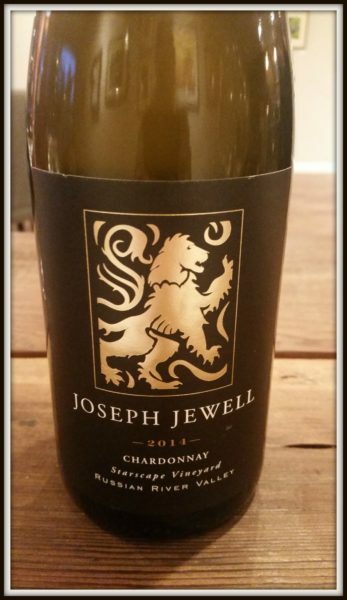 2 Responses to Joseph Jewell Wines: Your Next Visit in Sonoma County! wow.. very thorough and insightful. I learned quite a bit here. This is a great article. As always, I love all your photos. Well done. 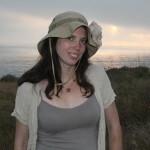 I love the Russian River area and was there not to long ago. I will have to add Forestville and Joseph Jewell wines to the list of places to visit. Looks lovely and we are big fans of wine blends too!